One of the Seven Cardologists has moved away. Today Molly is in her new home in North Carolina. <Sniff Sniff> We were sad to see her go, especially since it seems it took less than a month to sell her house, pack up, and leave, giving us with little time to adjust to the thought that we won't see her again until October Stamp Camp. We managed to get much celebration in that short time so I have two cards I made for our Molly. We were able to visit one last time in her three season room three weeks ago. 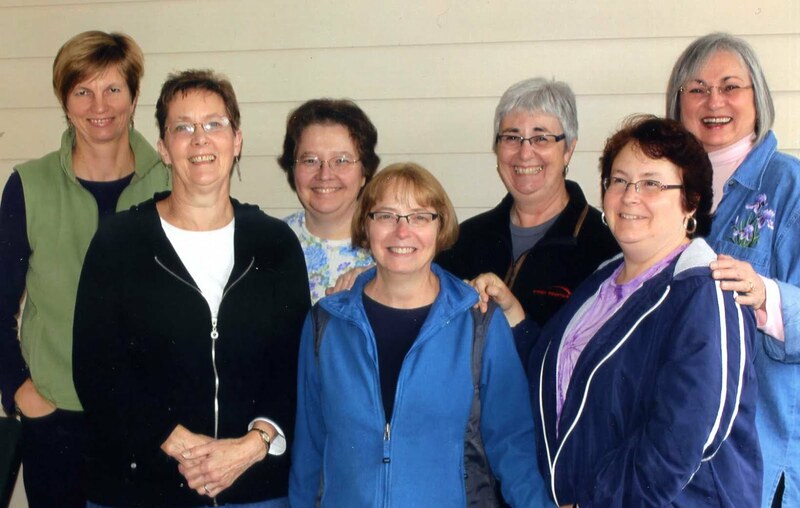 Originally we were going to stamp, but with all the good food, laughter and reminiscing over old pictures of the Cardologists, we didn't quite get to unloading the stamping supplies. 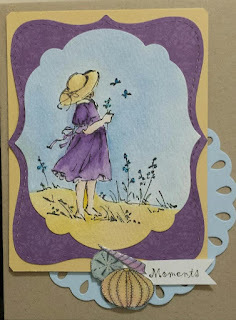 Here is the card I made to say goodbye to my friend. 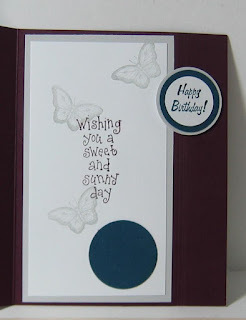 All the images are retired Stampin Up stamps watercolored with Peerless watercolors. I matched the colors with scraps of paper from my snippet collection. The sea creatures were also covered with Crystal Effects and popped up. The sentiment is and old unmounted so I don't know the company. The sentiment continues on the inside "Moments spent with a friend are the kind we wish would never end". 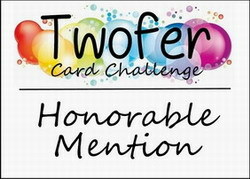 I will link this card at the Crazy 4 Challenge C4c248. Although the challenge is to use lighthouses, if you don't have a lighthouse you can use anything by the sea. This next card was made for Molly's birthday which we celebrated this last Thursday. I owe someone a big apology. Usually when I find an inspiration for a card I will save the page so that I can give credit when I post. This time I didn't and my search has been fruitless tonight. I will keep looking and when I find it, I will come back to link it. I started by masking a strip on the white panel stamping the leaves in gray and midnight muse (stamped off), then sponged the whole strip with sky blue. 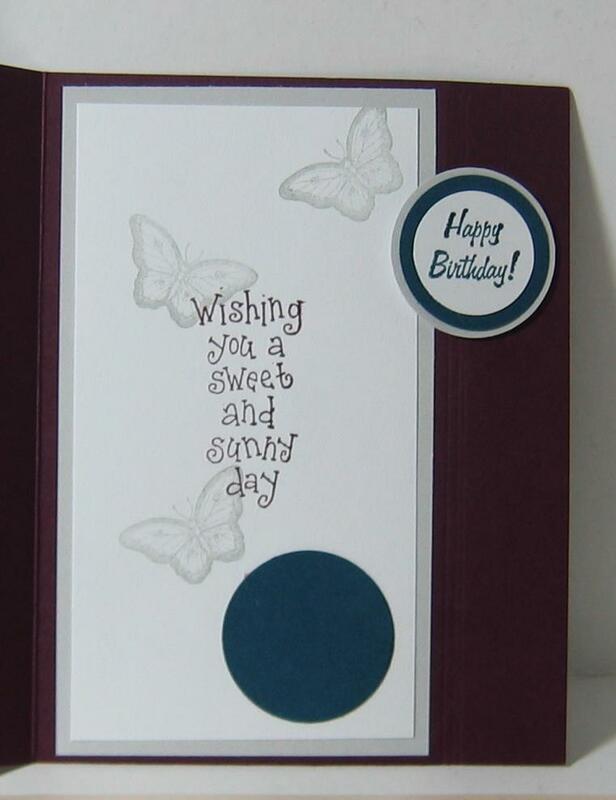 The flowers from Stampin Up Just Believe set were stamped in blackberry bliss. 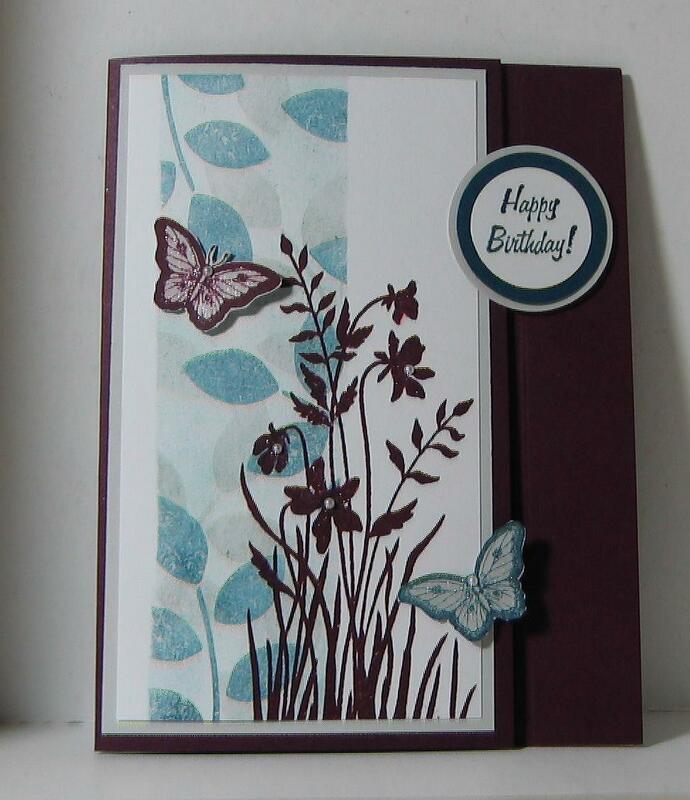 The panel was layered on a grey scrap and then mounted on a blackberry bliss card with a short front. A sentiment by DRS is popped up and overlaps a short front to form a latch. Inside the card is a panel the same size as the front with another sentiment, company unknown. There are three score lines beside that inside panel that make it possible to bend the card so that the front can be tucked under or untucked easily from the latch on the back. A couple butterflies from Papillon Potpourri and some pearls are the final embellishment. Thanks for visiting. I hope you also have a sweet and sunny day.